Yesterday, the Maine Legislature referred the tax conformity package proposed by Governor LePage to both the Appropriations and Taxation committees for further consideration and initial votes. There, it will face its first real scrutiny. As I explained in a recent column, the bill includes a ridiculous $6-$10 million tax giveaway to large, mostly out-of-state corporations through a complicated mechanism called “bonus depreciation.” Basically, the provision allows certain large firms to get a tax benefit by pretending that business equipment they purchased in the last year is depreciating at a faster rate than it actually is. The idea behind the policy, when it’s applied proactively, is to stimulate corporate investment, but the legislation as proposed would apply the bonus retroactively, only benefiting companies who already spent money this way in 2014. 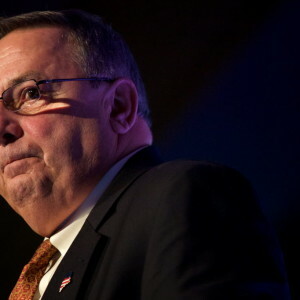 LePage’s proposal is, therefore, purely a multi-million-dollar corporate handout with no potential return for the state. While the measure seems mostly to be flying under the radar (other than my column, there’s been virtually no mention of the handout in the media, and no opposition has been voiced so far by legislative leaders), some lawmakers are gearing up to oppose the giveaway. Moonen also noted that because the bill is being submitted as emergency legislation, requiring two-thirds support for passage, it would take the opposition of only a bit more than one third of the House or Senate to prevent it from becoming law.